1.K. F. Antia National Award (Gold medal) for the best paper published in the Journal of Institution of Engineers (India) among all branches of engineering for the session 1999-2000. 2.SayedMumtaz Ali Memorial Award during 54th Annual technical Session held on 10th February 2013 for best paper published in the Technical Annual, 2013 of Institition of Engineers (India) Odisha State Centre, Bhubaneswar. 3.Institution Award during 55th Annual technical Session held on 1st March 2014 for best paper published in the Technical Annual, 2014 of Institition of Engineers (India) Odisha State Centre, Bhubaneswar. 4.Nominated by MHRD, Govt. of India for the Award of Australian Development Co-operation Scholarship (ADCOS) –1997 for prosecuting Ph. D. Program in Australia (Not availed). 5.National Scholarship, 1980 by MHRD, Govt. of India for Higher studies. 6.National Rural Talent Scholarship, 1976 by MHRD, Govt. of India for High School study. Life member, Indian Association for Structural Engineers (IASE). 1.Sponsored Projects: Title of the Project-Characterization of Lightweight Concrete Using Ash Cenospheres- Project Cost- Rs.13,25,000. 2.Consultancy: Coordinator, STA, VSSUT, Burla under PradhanMantriGramaSadakYojana, National Rural Development Agency (NRRDA), Ministry of Rural Development, Govt of India for scrutinizing DPRs of PMGSY Roads and Bridges (Consultancy Charges: Rs. 11.24 Lacs for the session 2012 & 2013). 3.Consultancy: Principal Consultant in material testing of concrete and mix design in the concrete laboratory (Consultancy Charges: Rs. 5.17 Lacs for the seaaion 2013& 2014). 4.Consultancy: Consultant in Non-destructive Test of Bank’s Office Building and Residential Buildings of Reserve Bank of India, Bhubaneswar, 2014 (Consultancy Charges:Rs. 4.40 Lacs). 5.Consultancy: Checking of Structural Design and Drawing of B. R. Ambedkar Medical College & Hospital, Raipur 2013 (Consultancy Charges:Rs. 0.50 Lacs). 6.Consultancy: Consultant in Checking the feasibility of Construction of 1st Floor on existing DAV School Building at Lakhanpur area of MCL 2013 (Consultancy Charges:Rs. 0.40 Lacs). 7.Consultancy: Principal Consultant, Proof Checking of structural Design & Drawing and Conducting NDT and Issue of Structural Stability Certificate of Part C Building of CIPET, Bhubaneswar 2011 (Consultancy Charges:Rs. 0.80 Lacs). 8.Consultancy: Principal Consultant, Checking the Design of Elevator of Rairakhol Railway Station of Sambalpur Division of East Coast Railway 2011(Consultancy Charges:Rs. 0.30 Lacs). 9.Consultancy: Principal Consultant, Checking the Structural Drawing and Adequacy of Self Supporting Towers and Guyed Masts of Mahanadi Coalfield Limited, Burla 2011 (Consultancy charges Rs.1.2 Lakhs). 10.Consultancy: Principal Consultant, Design of KalyanMandap of N. A. C. Burla 2010 (Consultancy charges Rs.1.5 Lakhs). 11.Consultancy: Principal Consultant, Survey of Water Surface Area of Pqwer Channel of Hirakud Dam, Burla, 2010 (Consultancy charges Rs.1.5 Lakhs). 12.Consultancy: Principal Consultant, Redesigning of Main and other Residential Buildings of Reserve Bank of India, Bhubaneswar and checking adequacy against Earthquake Forces as per New Revised IS Codes, 2009 (Consultancy charges Rs.9.2 Lakhs). 13.Consultancy: Principal Consultant, Stability Check of Office Building of IB Thermal Power Station, Banaharpali, 2009 (Consultancy charges Rs.0.3 Lakhs). 14.Consultancy: Principal Consultant, Study of Cracks Developed in Residential/Non-residential Buildings of CGM Complex of IB Valley Area of MCL 2008 (Consultancy Charges:Rs. 0.50 Lacs). 15.Consultancy: Principal Consultant, Preparation of Detailed Project Reports (DPRs) on “Water Supply to Uncovered Area of Sambalpur Town” and “Improvement of Sanitation System of Sambalpur Town” under Urban Infrastructure Development Scheme for Small and Medium Towns (UIDSSMT) for Sambalpur Municipal Council, 2006-07 (Consultancy charges Rs.20.0 Lakhs; Co-consultants: Dr. P.C. Swain, Dr. P. K. Das and Dr. P. K. Pradhan). 16.Consultancy: Principal Consultant, Planning of Road on Periphery of UCE Golden Jubilee Gate, 2007(Consultancy Charges:Free of Cost). 17.Consultancy: Principal Consultant, In charge Construction and Supervision of UCE Golden Jubilee Gate, 2006-07(Consultancy Charges:Free of Cost). 18.Consultancy: Principal Consultant, Planning of 100 seated Ladies’ Hostel of UCE, Burla to be funded by MCL, 2006 (Consultancy Charges:Free of Cost). 19.Consultancy: Principal Consultant, In charge Construction and Supervision of E-Learning Centre of UCE, Burla, 2006-07 (In Progress; Consultancy Charges: Free of Cost; Co-consultants: Er. R. R. Bohidar, EE, R&B and Er. D. Patnaik, EE, NH). 20.Consultancy: Principal Consultant, Contour survey and Grid Line Establishment Work for 2nd Phase Expansion of CPP, NALCO, 2005 (Consultancy Charges:Rs.1.2 Lakhs; Co-consultants: Dr. S. K. Chand &Dr. M. K. Dash). 21.Consultancy: Principal Consultant, Planning and Design for all residential and industrial structures of Talcher Thermal Power Station, NTPC, Talcher built during Sept. 2002 to Sept. 2004 (Consultancy Charges: Rs.3.75 Lakhs; Co-consultant: Dr. B. C. Panda). 22.Consultancy: Rehabilitation of Overhead Coal Handling Plant at Anant Colliery, MCL, Talcher, 2002 (Consultancy charges: Rs. 0.25 Lakhs). 23.Consultancy: Design of Market Complex of TAMRIT at Angul, 1990 (Consultancy charges: Rs.0.20 Lakhs). 1.Swain, R. B., and Nayak, A. N. (2015). “Flexural Analysis of RC Beams Strengthened with Externally Bonded FRP Sheets.” International Advanced Research Journal in Science, Engineering and Technology,Vol. 2, Issue 4, April 2015, pp. 61-67. 2.Nayak, A. N., and Bandyopadhyay, J. N. (2006). “Dynamic response analysis of stiffened conoidal shells.” Journal of Sound and Vibration, Vol. 291, No. 3-5, April 2006, pp. 1288-1297. 3.Nayak, A. N., and Bandyopadhyay, J. N. (2005). “Free vibration analysis of laminated stiffened shells.” Journal of Engineering Mechanics, ASCE, Vol. 131, No.1, pp.100-105. 4.Nayak, A. N., and Bandyopadhyay, J. N. (2002). “Free vibration analysis and design aids of stiffened conoidal shells. ”Journal of Engineering Mechanics, ASCE, Vol.128, No.4, pp.419-427. 5.Nayak, A. N., and Bandyopadhyay, J. N. (2002). “On the free vibrations of stiffened shallow shells.”Journal of Sound and Vibration,Vol. 255, No. 2, pp. 357-382. 6.Dubey, A. K., Nayak, A. N. and Bhattacharyya, S. K. (1999). "Strength of Thin-walled Steel-concrete Composite Beams: An Experimental Study." Journal of Institution of Engineers (India), Vol. 80, pp.37-41 (K. F. Antia National Award for best paper in engineering for the session 1999-2000). 7.Nayak, A. N. and Bhattacharyya, S. K. (1998). "Welded T-Joints with Hollow sections." International Journal of Structures, Vol. 18, No.1, pp.29-50. 8.Nayak, A. N. and Bhattacharyya, S. K. (1997). "Behaviour of Joints with Rectangular and Square Hollow Steel Sections." Journal of Institution of Engineers (India), Vol. 78, pp.116-122. 1.Jena,T., Tripathy, P. K.and Nayak, A. N. (2015). “Forced Vibration Analysis of Laminated Composite Stiffened Plates.” 2nd Indian National Conference on Advanced Mechanics (INCAM-2015), July 13-15, 2015, Indinan Institute of Technology, Delhi, India, pp. 481-487, ISBN978-81-8487-509-6. 2.Nayak, A. N., Swain, R. B., Prajapati, G. N. and Swetapadma, S. (2014), “Strengthening of square RC columns using externally bonded FRP sheets”, International Conference on Advances in Civil, Structural and Mechanical Engineering (CSM-2014), November 16-17, 2014, University of Birmingham, UK, pp. 21-25, ISBN:978-1-63248-054-5, doi:10.15224/978-1-63248-054.5-44. 3.Nayak, A. N. and Swain, R. B. (2014), “Seismic planning, design, detailing and retrofitting of multistoreyed RC framed buildings: An overview”, 4th All India Police Housing Conference, September 25-26, 2014, Bhubaneswar, Odisha, India. 4.Tripathy, P. K. and Nayak, A. N. (2014), “Computer aided earthquake resistant design and detailing of multi-storeyed RC framed building”, Annual Technical Session, March 01, 2014, Institition of Engineers (India) Odisha State Centre, Bhubaneswar, Odisha, India. 5.Swain, R. B., Dalai, N. And Nayak, A. N. (2014), “Shear strengthening of R.C. beams using externally bonded fibre reinforced polymer composites”, All India seminar on Advances in Construction Technology (ACT-2014), February 09-10, 2014, Institition of Engineers (India) Odisha State Centre, Bhubaneswar, Odisha, India. 6.Tripathy, P. K. And Nayak, A. N. (2013), “Importance of building form and architectural design concepts for eliminating torsional effects due to earthquake forces”, Annual Technical Session, February 13, 2013, Institition of Engineers (India) Odisha State Centre, Bhubaneswar, Odisha, India. 7.Dalai, N., Swain, R. B. And Nayak, A. N. (2013), “Shear strengthening of RC beams using externally bonded FRP: A state of art review”, National Conference on Emerging New Materials in Engineering Applications (ENMEA-2013), January 19-20, 2013, VSSUT, Burla, Odisha, India. 8.Nayak, A. N., Tripathy, P. K. And Sethi, S. R. (2012), “Design aids for vibration characteristics of grid slabs using finite element method”, National Conferences on Recent Advances in Mechanics and Materials (RAMM-2012), February 25-26, 2012, VSSUT, Burla, Odisha, India. 9.Swain, R. B. And Nayak, A. N. (2012), “Behaviour of strengthened RC beams using externally bonded FRP composites- a state of art review”, National Conferences on Recent Advances in Mechanics and Materials (RAMM-2012), February 25-26, 2012, VSSUT, Burla, Odisha, India. 10.Nayak, A. N. And Swain, R. B. (2011), “Flexural analysis and design-aids of FRP strengthened RC beams”, All India Seminar on Latest Advances in Concrete Technology, July 16-17, 2011. Institition of Engineers (India) Odisha State Centre, Bhubaneswar. 11.Nayak, A. N., Sethi, S. R., Tripathy, P. K. And Sahoo, A. K. (2011), “Special types of concrete used in modern construction”, All India Seminar on Latest Advances in Concrete Technology, July 16-17, 2011. Institition of Engineers (India) Odisha State Centre, Bhubaneswar. 12.Swain, R. B. And Nayak, A. N.(2010), “Strengthening of R.C. beams using externally bonded fibre reinforced polymer composites”, Asian Conference on Ecstasy in Concrete (ACECON-2010), December 05-09, 2010, IIT, Madra, Chennai, India. 13.Paniograhi, S. K. and Nayak, A. N. (2007). “An Introduction to self compacting concrete.” National Conference on Recent Advances in Civil Engineering (RACE-2007), March 01-12, 2007, College of Engineering& Technology, Bhubaneswar, India. Structural Mechanics and Composites ( ETSMC-2003), November 01-02, 2003, National Institute of Technology, Rourkela, India. 15.Pore, A., Nayak, A. N., and Bandyopadhyay, J. N. (2003). “Seismic retrofit of rectangular reinforced concrete column with FRP plates.” China-US Workshop on Protection of Urban Infrastructure and PublicBuildings against Earthquakes and Manmade Disasters,February 21-22, 2003, Beijing, China. 16.Nayak, A. N. and Bandyopadhyay, J. N. (2003). “Vibration analysis of eccentrically stiffened laminated plates with cutouts.” International Workshop and Conference on Construction Management and Materials (CONMAT 2003),January 09-11, 2003, I.I. T., Kharagpur, India. 17.Nayak, A. N. and Bandyopadhyay, J. N. (2002). “Free vibration analysis of stiffened cylindrical shell roofs.” International Conference on Advances in Civil Engineering (ACE 2002),January 03-05, 2002, I.I. T., Kharagpur, India. 18.Nayak, A. N. and Bandyopadhyay, J. N. (2001) "Application of FEM on the free vibration of laminated composite conoidal shells." ACUN-3 International Composites Conference on Technology Convergence in Composites Applications, February 6-9, 2001, UNSW, Sydney, Australia. 19.Nayak, A. N. and Bandyopadhyay, J. N. (2000). "Finite element free vibration analysis of doubly curved stiffened shells", International conference on Recent Advances in Mathematical Sciences (ICRAMS-2000), December 20-22, 2000, I.I.T., Kharagpur, India. 20.Nayak, A. N. and Bandyopadhyay, J. N. (2000). "Free vibration analysis of shells with curved quadratic isoparametric eight and nine node finite elements." Second Structural Engineering Convention (SEC-2000): An International Meet, January 5-8, 2000, I.I.T., Bombay, India. 21.Nayak, A. N. (1996). "Development, Properties and Behaviour of High Strength Concrete: An Overview." National Seminar on High Performance Concrete, February 2-3, 1996, ICI, Bangalore, India. 22.Nayak, A. N., and Bhattacharyya, S. K. (1994). “Behaviour of steel-concrete composite columns.” National Seminar on Composite Materials, March 18-19, 1994, I.G.I.T., Sarang, Orissa,India. Organizing Secretary & Convenor, “National Conferences on Recent Advances in Mechanics and Materials (RAMM-2012)” held at VSSUT, Burla during February 25-25, 2012. Course Coordinator, “Training Programme for Practicing Engineers on Earthquake Resistant Design and Construction Practices” held at VSSUT, Burla during January 04-12, 2011 funded by Ministry of Home Affairs, Govt. Of India. Coordinator, Workshop for Curriculum Development of B.Tech. Programme in Civil Engg. Of Biju Patnaik University of Technology, Orissa held at Bhubaneswar during August 25-26, 2006. Coordinator, Technical Committee, 1st State Level ISTE Students Convention, Orissa Section on “Convergence of Talent and Excellence” held at I.G.I.T., Sarang during March 20-21, 2005. Prof. A. N. Nayak is working as Dean, Sponsored Research and Industrial Consultancy (SRIC) of Veer Surendra Sai University of Technology, Burla. In addition, He is also discharging the responsibility of the Professor and Head, Department of Civil Engineering of this University. He is also member of the University Committee for Prospective Planning. He has already discharged the responsibilities of Dean, Academic affairs; Dean, Post Graduate Studies & Research; Professor & Head, Department of Civil Engineering; Chairman Civil Maintenance Committee; Chairman Hostel Management Committee; Chairman Golden Construction Committee, Alumni Association and Coordinator of TEQIP of VSS University of Techology,, Burla. He is a Fellow of Institution of Engineers and life member of Indian Association for Structural Engineers and Indian Concrete Institute. His areas of research include structural retrofitting, advanced composite materials, Concrete Technology, Structural vibrations, plates and shells, computational mechanics amongst others. He is the Chairman and member of a number of National level Committees and member of Advisory Committees of different National Conferences and Workshops. 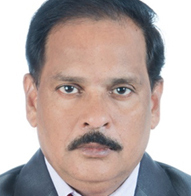 He is also a reviewer of many International Journals including ASCE (Journal of Bridge Engineering) and Elsevier (Journal of Sound and Vibration) and a Member of State Level Experts Committee (SEAC) constituted by Government of Odisha to review the infrastructural developmental activities in the State of Odisha. He is actively involved in consultancy work. He is now Coordinator of the State Technical Agency for looking after the scrutiny of PMGSY works in Odisha. He has completed a number of very major consultancy projects of NALCO, NTPC, MCL, RBI, Indian Railways, CIPET, Hindalco, AdityAlluminium and other renowned government, public undertaking and private organizations. He has also received a number of national and state awards including K. F. Antia National Award (Gold medal), SayedMumtaz Ali Memorial Award (Gold medal), Institution of Engineers Award (Gold medal) for his excellence research contribution. He has visited abroad including Australia and United Kingdom.